Nick Knacks: What's Next for Loyola Men's Basketball? Hanako Maki | The Phoenix With quality recruits coming in, head coach Porter Moser has his program built for sustainability. 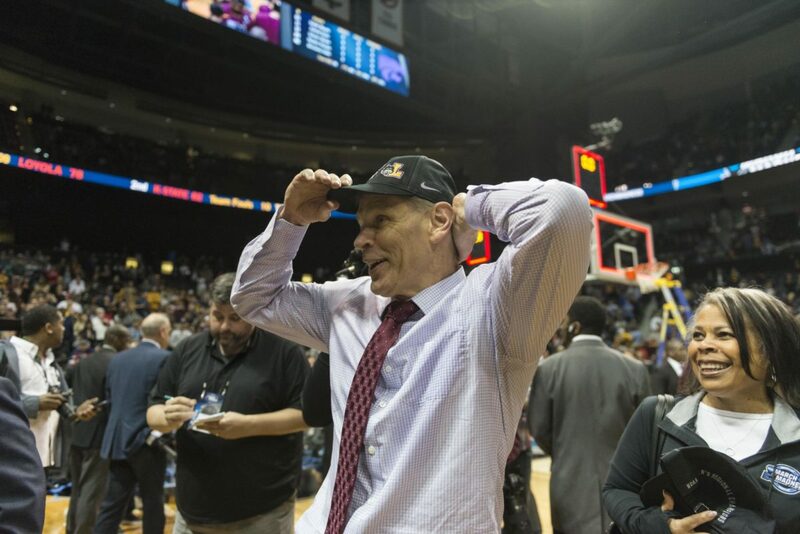 On April 25, Loyola announced men’s basketball coach Porter Moser received a revamped contract extension through 2026 eliminating any uncertainty about who’ll patrol the sidelines for the Ramblers in the future. However, the extension begs an important question: What’s next for the program? The 2017-18 season was magical for the Ramblers. Who could’ve predicted a Final Four appearance? Now, the key is to sustain the success. Although Moser is officially staying at the helm, program sustainability will be the next big challenge. Unlike the 1984-85 season — the last time the Ramblers made the NCAA Tournament — Moser has the program in an ideal spot to maintain sustainability. Gene Sullivan’s ‘85 team was led by four players who averaged double-digit points per game: seniors Alfredrick Hughes (26.3 ppg) and Andre Battle (20.3 ppg), junior Carl “Go-Go” Golston (14.8 ppg) and first-year Andre Moore (11 ppg). The next closest scorer was senior Greg Williams, who averaged 5.1 ppg; junior Ivan Young’s 3.1 ppg ranked behind Williams. The Ramblers couldn’t recover after losing Hughes and Battle, following their Sweet Sixteen appearance up with a 13-16 record in 1985-86, and despite winning the Midwestern Collegiate Conference in 1986-87, Sullivan was out of a job after the 1988-89 season. The program didn’t have another winning season until 2001-02. Moser’s Ramblers are in a different situation. Five players finished with double-digit points per game for the first time since the 1963 national championship team. Two of them — Donte Ingram (11 ppg) and Aundre Jackson (11 ppg) — are graduating. Missouri Valley Conference (MVC) Player of the Year Clayton Custer (13.2 ppg), MVC All-Tournament Team nominee Marques Townes (11.1 ppg) and MVC Freshman of the Year Cameron Krutwig (10.5 ppg) are all slated to return next season. Along with the addition of quality recruits, sustainability will be more feasible for Moser than it was for Sullivan. Recruiting will be key for Moser, but that won’t be much of a problem for him. He’s recruited well at every school he’s coached at, including as head coach at Illinois State University from 2004-07 and as associate head coach at Saint Louis University under legendary coach Rick Majerus from 2007-11. Illinois State won the MVC in 2008 with Moser’s recruits — one year after his unceremonious firing. He’s known as a tireless recruiter — he’s been out on the road since the NCAA Tournament ended. He has a chance to land some bigger recruits than he has in years past because of the exposure of the NCAA Tournament. Although the program couldn’t keep the success going long-term after the ‘84–85 season, Loyola has a better chance to be a mid-major powerhouse now than ever before. After taking over as Athletic Director in 2015, Steve Watson had patience while Moser built the program, literally, from the bottom up — something Illinois State didn’t let happen. Players such as Milton Doyle, Ingram and Ben Richardson were instrumental in putting Loyola in its current position. 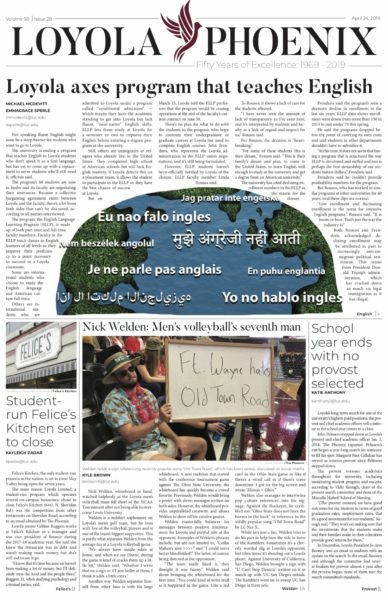 Kudos to Loyola for getting an extension done before it was too late. Now, Moser can focus on the on-court product. With four rising first-years coming in — led by Franklin Agunanne, who was a four-star recruit according to ESPN — and redshirt freshman swingman, Aher Uguak, eligible after sitting out last year due to NCAA transfer rules, Loyola looks like it could make another run at an MVC championship. Students and fans will have to wait and see what happens. Now that they’re paying attention to the team — as they should’ve been since the beginning of the season — the time is now for Moser to capitalize on last season’s success. I can’t wait to see what the next season will bring. Hopefully the gym will be packed for each home game and folks will be begging for tickets rather than having Porter begging for fans to come to the games.